Doll Carnival was an event started by Jun Planning in 2007, it continued being held every year by Groove even after Jun Planning’s bankruptcy. 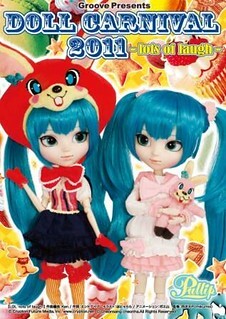 Doll Carnival continued until 2013, it is not known at this time if it will continue in the future or not. The one day show would feature new and upcoming doll releases, potential prototype dolls as well as custom dolls. Doll Carnival also had limited edition dolls exclusive to the event. 2007 Doll Carnival Exclusive Dal Jouet- Dal Jouet was the first Doll Carnival exclusive, she was limited counterpart to Dal Jolie (who came with a white teddy bear in a sailor suit similar to Jouet). She was limited to 0nly 300 and was sold for 10,000 yen. 2008 Doll Carnival Exclusive Pullip Isolde- Pullip Isolde was the first Pullip Doll Carnival Exclusive. 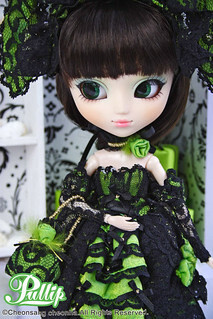 She is a recolored variant of Pullip Adsiltia, both dolls were released as a part of a collaboration with fashion label H.Naoto . 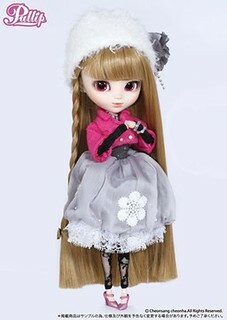 Pullip Isolde was limited to 300 and was sold for 13,000 yen. 2009 Doll Carnival Exclusive Dal Chanti- Dal Chanti is a collaboration doll with fashion brand Angelic Pretty. Dal Chanti was limited to 300 and was priced at 13,000 yen. 2010 Doll Carnival Exclusives Pullips Clara and Chloi – This year marked the first time that there would be more than one Doll Carnival Exclusive doll. While the dolls weren’t quite twins they were definitely sisters as they had very similar outfits/face ups. 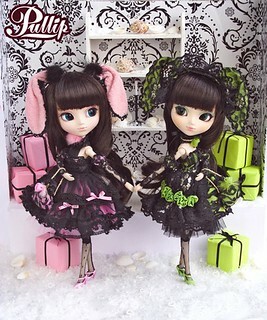 Pullip Clara is the one in pink while Pullip Chloi is the one in green. Pullips Clara and Chloi were priced at 10000 yen each. 2011 Doll Carnival Exclusive Pullip -LOL- Lots of Laugh Miku In 2011, there was only one exclusive Pullip but she came with two different outfits/styles of clothes. LOL Miku was released as a part of a collaboration with Vocaloid. 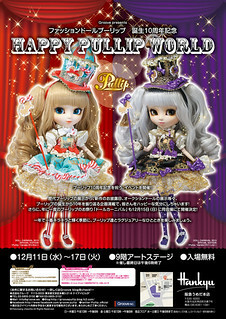 2012 Doll Carnival Exclusive Dolls: Pullip Pere Noel, Pullip Rche/Ruhe, Pullip Sapphire & Taeyang Hide Psyence. This year marked the most ever Doll Carnival releases at a single event with three different Pullips and a Taeyang being released. Some dolls of each of the releases were held back to be sold online, 100 each of the Pullips was held back and 200 of Hide Psyence. 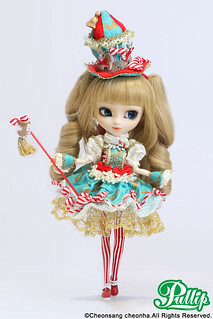 Pullip Pere Noel was designed by Kiyokawa Asami. She is the Matsuya Ginza 2012 Christmas Promotion Model and was priced at 15,000 yen. 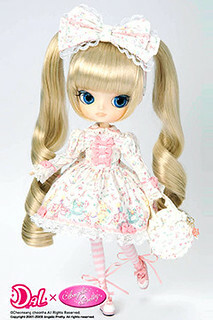 Pullip Rche or Ruhe was priced at 13,000 yen. 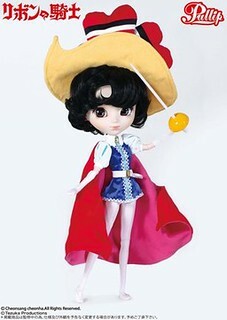 Pullip Sapphire is a collaboration doll from the Osamu Tezuka manga and anime Princess Knight. 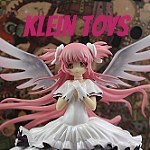 She was priced at 15,000 yen. 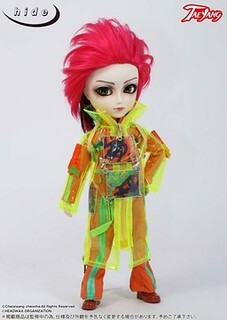 Taeyang Hide Psyence is a collaboration doll with the singer Hide. Hide Psyence was priced at 18,000 yen. 2013 Doll Carnival Exclusive Pullips Canele & Varele Pullips Canele and Varele were the final two Doll Carnival Exclusive dolls as of this writing, they are color variants of each other. 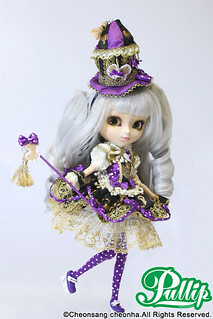 Canele is the Pullip in red and blue while Varele is the Pullip in purple. They were priced at 18,000 yen each.